Trainers who've purchased dashboard: Login to dashboard here. Visitors see instructions below infographic for demo login. 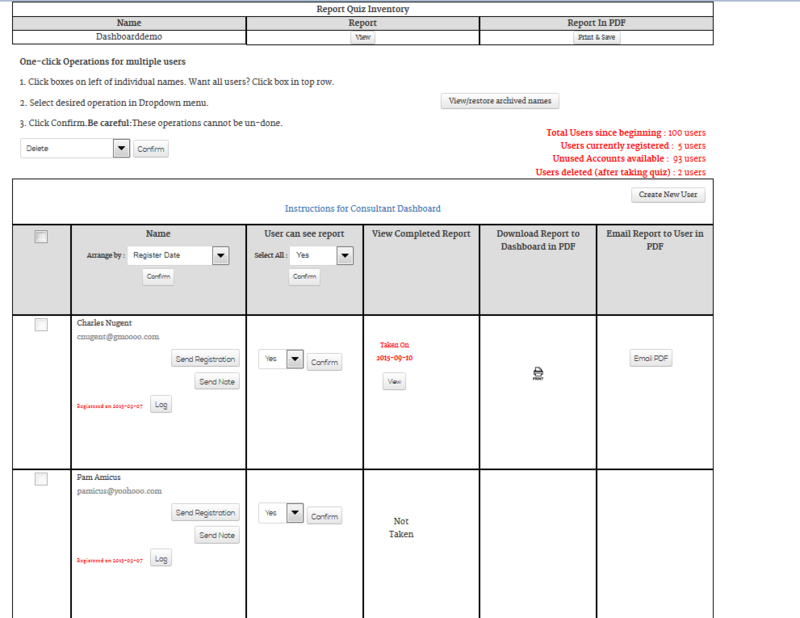 The Dashboard provides powerful user management tools for trainers by consolidating registration, communication, monitoring, and score review in one location. Trainers whose only need is to send login instructions to user for pre-paid access may prefer our Coupon Code access which requires no setup or entry of users names. 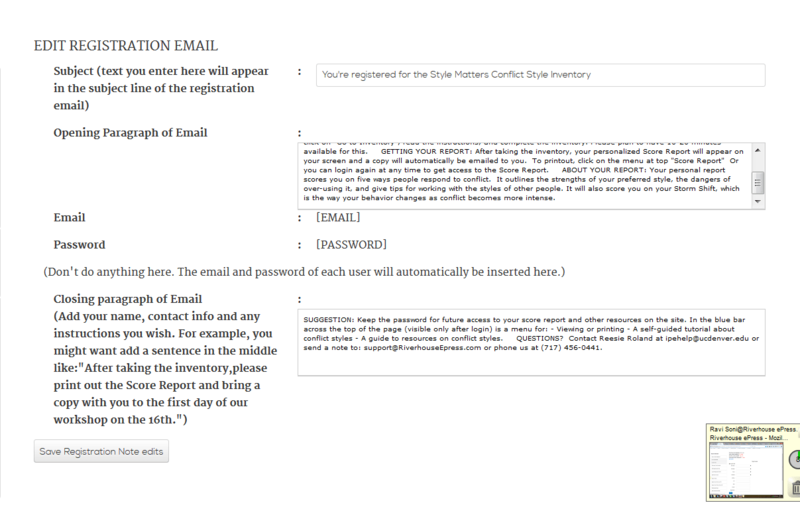 Send registration info to users with any instructions you wish to give them, with a single click. Users can then go to the inventory with a single click of a button contained in your email. 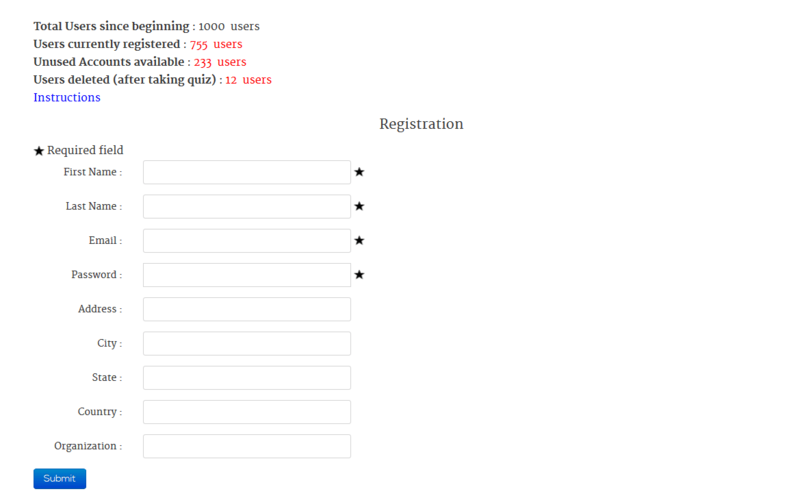 They land on the first page of the inventor already logged in without having to enter their info themselves. Most functions have been disabled in the demo view. 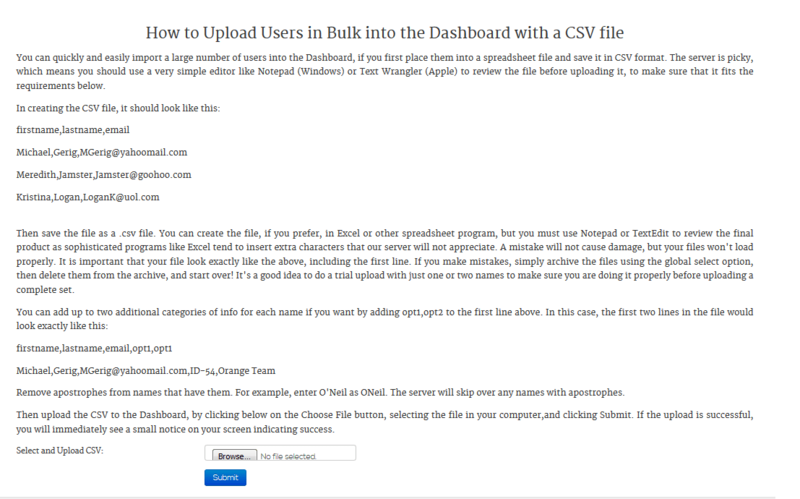 Click on images below for screen shots of dashboard functions.